APK applications or games to your Android phone through different methods: via SD card or directly from mirror sites or Dropbox. How to install APK on my Android phone? Before you make sure your phone has enabled the “3rd party apps” To check this, go to: Settings> Applications> unknown sources. As we saw previously installed applications from the PC, these “unknown sources” are simply applications that come from another source that is not the Android Market. When installing APK on your phone you have two options: install download APK files from SD card or install directly from your phone. *First you have to download the APK files and put it somewhere on your PC where you can find it easily. 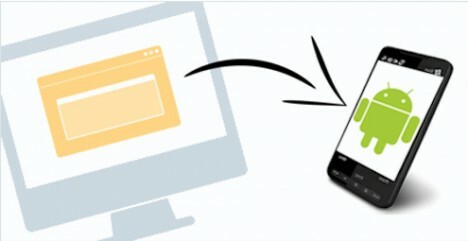 *Connect your phone to your computer using the USB connector. *Make sure your phone connection settings are correct. To check this, go to Settings -> Connect to PC -> Standard connection -> mass storage unit. *Open a file browser such as Winzip, FileBro or File Manager (you can find any of these file browsers in the Android Market). *Search APK file that you put on your SD card, click it and then press Install. *Read permissions and install application. Another option is to download the application directly to your phone. However, several websites have problems mirrors the phones so here we see an alternative method more simple and effective. Download APK games or APK apps directly from a mirror site. Another alternative you can install APK files easily through Dropbox ! *Get Dropbox (is a free online storage that you can use on your PC and phone). Go to http://www.dropbox.com/, get an account and install the program on your computer. *Also download Dropbox application to your phone through the Market (https://market.android.com/details?id=com.dropbox.android&hl=en). Next, configure the newly created account. *Now you have a special Dropbox folder on your computer in which everything in it, will also be synchronized with your phone. *Then just download APK files and put it into the Dropbox folder. Then you open it on your phone through the application. I hope you enjoy this Android APK install tutorial ! Please feel free if you want to share this tutorial tips to your blog or social networking and I will be glad if you can put a short backlink to this source post.